Capsicum, more commonly as chili or chili pepper, is an important global vegetable and spice crop. Anthracnose disease, caused by a complex of Colletotrichum species, is the major biotic stress limiting chili production in tropical and subtropical countries. Anthracnose disease mainly manifests itself as a post-harvest disease, resulting in large necrotic lesions on the fruit. 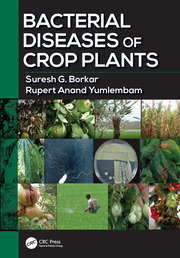 This disease is mainly controlled by the application of a "cocktail" of fungicides as commercial resistant cultivars are not available. In recent years, insights into the complexity of the pathogen and the genomics of the host have been accomplished using cutting-edge molecular technologies. The author has been at the forefront of this technology revolution in Capsicum breeding through her research to understand the host and pathogen which has led to the development of new anthracnose resistant genotypes. 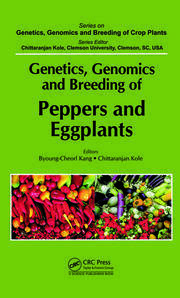 Capsicum: Breeding Strategies for Anthracnose Resistance is structured based on a review of the origin and evolution of Capsicum, Capsicum genetic diversity and germplasm resources, the latest research in the biology and taxonomy of Colletotrichum pathogens of Capsicum, and the classic and molecular breeding for resistance in Capsicum to the suite of Colletotrichum pathogens that infect Capsicum globally. 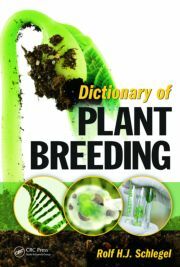 This book brings together knowledge on both the pathogen and the host, which is often overlooked when reviewing the breeding and genetics of a crop plant. 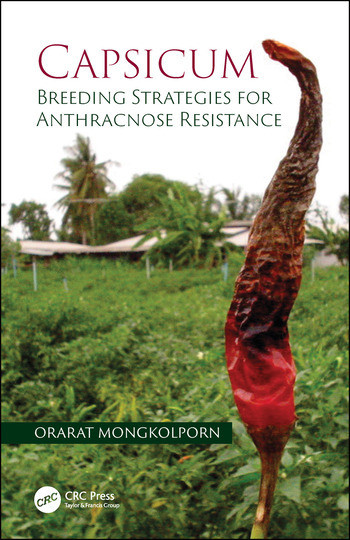 It informs the facts behind breeding for resistance from both the host and pathogen perspectives. 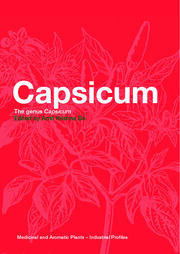 Capsicum Origin, Diversity, and Genome. Anthracnose Disease in Capsicum. Breeding for Anthracnose Resistance. Molecular Studies in Anthracnose Resistance. Orarat Mongkolporn is an Associate Professor in the Department of Horticulture, Kasetsart University of Thailand. Her expertise is in plant breeding for disease resistance employing molecular technology. She has been working on the chili anthracnose; breeding for resistance and pathogenicity since the year 2000. Research findings have established core knowledge on genetics of anthracnose resistance in chili and pathogenicity. Born in Thailand, the land of agriculture, Orarat chose to study agricultural science with a wish to develop the agriculture in her country. She was awarded an Australian scholarship to pursue a PhD study and completed the degree in Molecular Breeding at the University of Melbourne, Australia in 1998. She returned to Thailand to work with the Kasetsart University as a lecturer in Horticulture ever since. She has developed her professional research skills with efforts to solve anthracnose disease problem in chili. Orarat has continuously published her research outcomes in international journals, as a result, she is well recognised as an expert in chili anthracnose area.